b. bef. 1354, ?s. of Sir Ralph Bagot of Blithfield, Staffs., by his w. Joan; prob. half-bro. of Sir John Bagot*. m. by 1379, Margaret (d.1417), sis. and h. of Robert Whatton of Notts., 2 da. (1 d.v.p.). Kntd. bef. Mar. 1386. Commr. of inquiry, Apr. 1380 (wastes on the estates of John, earl of Nottingham), Warws. Sept. 1384, Feb. 1389 (trepasses, Cheylesmore park), Leics., Warws. June 1395 (concealments), Leics., Warws., Northants., Worcs. Aug. 1397 (forfeited possessions of Thomas, earl of Warwick), Warws. Dec. 1397 (insanity of a tenant-in-chief), Aug. 1398 ( post mortem ), Nov. 1398 (royal grant to Coventry); to seize the goods of the prior of Chepstow, Wales Jan. 1387; administer the oath of adherence to the Lords Appellant, Warws. Mar. 1388; of oyer and terminer, Worcs. May 1391, Apr., July 1394, Feb. 1395; array, Warws. Mar. 1392; to take custody of a royal ward Nov. 1392; survey the estates forfeited by the Lords Appellant of 1387-8, Staffs., Salop, Herefs. Oct. 1397; of weirs, Warws. June 1398. Sheriff, Warws. and Leics. 13 Nov. 1382-11 Nov. 1384. J.p. Warws. 28 June-Dec. 1390, 27 July 1397-Aug. 1399, Salop 12 Nov. 1397-Aug. 1399. 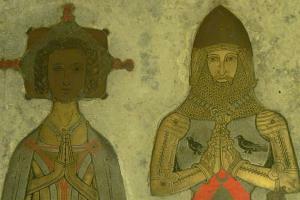 Keeper, Carnarvon castle 15 Nov. 1389-6 July 1396. Surveyor of sales of timber, Cheylesmore park 16 Nov. 1391-c.1392, steward of Cheylesmore 2 Dec. 1391-c. July 1399. 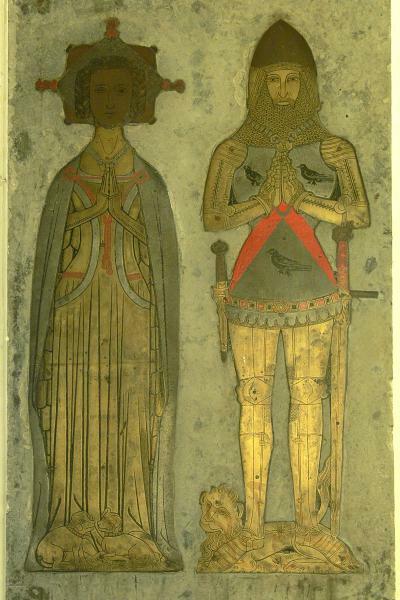 Lt. to the marshal, Thomas, earl of Nottingham c. Aug.-Nov. 1394, Feb. 1395. Steward and surveyor of estates forfeited by Richard, earl of Arundel, in Wales and the marches 22 Sept. 1397-Aug. 1399. Constable, Holt castle, Denbigh 22 Sept. 1397-29 May 1398. Jt. keeper, Wallingford castle 12 July-Aug. 1399. Tax collector, Warws. Mar. 1404. Bagot stayed behind in England, along with Bussy and Green, to assist the duke of York in administering the kingdom while Richard II was in Ireland. And when news came of Bolingbroke’s landing in Yorkshire, it was they who advised the duke to transfer the seat of government to St. Albans, and to take precautions for the protection of Richard’s queen at Wallingford. Bagot himself raised 140 men for York’s army, only to flee to Bristol at Bolingbroke’s approach, along with Bussy and Green. There, the two latter were seized and summarily executed, but Bagot himself was more fortunate and managed to escape by sea.14 It was not long, however, before he was captured in Ireland, and brought back by Sir Peter Buckton*. 1. Wm. Salt Arch. Soc. n.s. xi. 35, 45-54; W. Dugdale, Warws. 231-2; VCH Warws. vi. 40, 275; Stoneleigh Ledger Bk. (Dugdale Soc. xxiv), 195, 209, 237; C143/429/8. 2. DKR, xxxvi. 18; Wm. Salt Arch. Soc. xvi. 78; xvii. 49; CP, x. 174-5. 3. Pol. Poems and Songs ed. Wright, i. 364; Cott. Nero DVII, f. 129d; CPR, 1374-7, p. 494; 1377-81, p. 89; Med. Legal Recs. ed. Hunnisett and Post, 295. 4. Reg. Gaunt 1379-83, p. 10, nos. 169, 1016, 1172; Wm. Salt Arch. Soc. xiv. 244; xv. 56; DL28/1/2 ff. 1, 4d., 14d, 17d; S.K. Walker, ‘John of Gaunt and his retainers, 1361-99’ (Oxf. Univ. D.Phil. thesis, 1986), 109. 5. Reg. Gaunt, nos. 209, 556, 1023; CPR, 1377-81, p. 456; CIMisc. iv. 299; vi. 392; C137/81/8. 6. CCR, 1385-9, p. 414; DKR, xxxvi. 18; DL28/1/2; CPR, 1385-9, p. 435; C67/31 m. 2. 7. C219/8/8, 10, 11; CFR, ix. 238; x. 10, 313, 315; CCR, 1389-92, p. 523; 1396-9, p. 331; CPR, 1381-5, p. 312; 1388-92, p. 131; 1391-6, p. 2; 1396-9, p. 10; DKR, xxxvi. 17-18. 8. Wm. Salt Arch. Soc. xv. 32, 51; CPR, 1388-92, p. 514; 1391-6, p. 697; 1399-1401, pp. 444, 538; 1405-8, p. 320; CCR, 1389-92, p. 558; 1396-9, p. 83; Coventry Statute Merchant Roll (Dugdale Soc. xvii), 5, 6, 14, 15; CFR, xvi. 266. 9. RP, iii. 326; CCR, 1396-9, p. 128; Rolls Warws. and Coventry Sessions (Dugdale Soc. xvi), pp. lxiii, 76-77; CPR, 1391-6, p. 731; KB27/541 Rex rot. 26; KB9/176 m. 12 et seq. 10. Derby’s Expeds. (Cam. Soc. n.s. lii), 118, 122, 306; Wm. Salt Arch. Soc. xv. 56; xvi. 55; J. H. Wylie, Hen. IV, iv. 184; Lord Bagot, Mems. Bagot Fam., app. p. vii. 11. CPR, 1391-6, p. 506; Nottingham Med. Studies, vii. 77; Foedera ed. Rymer (orig. edn. ), vii. 844; CCR, 1409-13, p. 390; 1413-19, pp. 5, 28; R.E. Archer, ‘The Mowbrays’ (Oxf. Univ. D.Phil. thesis, 1984), 346. 12. CPR, 1381-5, p. 436; 1396-9, pp. 178, 210, 350, 427; T. Walsingham, Hist. Ang. ed. Riley, ii. 224; PPC, i. 76; DKR, xxxvi. 18; Wm. Salt Arch. Soc. xvi. 59; Dugdale, 1009. 13. Med. Legal Recs. 295, 297-8, 320-1; CPR, 1396-9, pp. 215, 317, 421, 494, 530-1, 552, 576; CCR, 1396-9, pp. 291, 292, 505; C67/31 m. 13; RP, iv. 151-3; Chron. Traison et Mort Ric. II ed. Williams, 149. 14. Walsingham, 232-3; CPR, 1396-9, p. 588; E403/562 m. 14; E364/40 m. B. 15. Adam of Usk, Chron. ed. Thompson, 29; Chrons. London ed Kingsford, 19, 51-54; CCR, 1399-1402, pp. 20, 31, 78, 224; E404/15/120, 156, 466; CPR, 1399-1401, p. 386; J. Trokelowe, Chron. ed. Riley, 308. 16. CIMisc. vii. 36; Wm. Salt Arch. Soc. xv. 94; CCR, 1399-1402, p. 178; 1402-5, p. 120; 1405-9, p. 267; RP, iii. 458, 484; CPR, 1399-1401, p. 502; 1401-5, p. 96; DL28/15, f. 102; 16 (pt. 3), f. 6. 17. Dugdale, 235; Mon. Brasses ed. Mill Stephenson, 519; DKR, xxxvi. 18; xxxvii (pt. 2), 27; CFR, xiii. 84; CCR, 1409-13, p. 350; C137/81/8; CPR, 1408-13, pp. 194, 196.